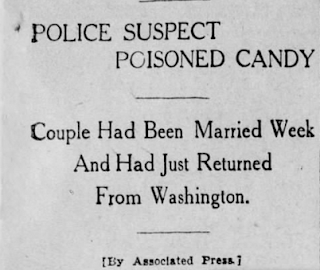 The Munro Tragedy: Death by Poisoned Candy, Suicide or Broken Heart? Have you ever strolled through a cemetery, reading the inscriptions on the headstones? And, if so, has your imagination ever been ignited by a grave marker showing that a man and wife had shared the same date of death? Perhaps you pause in front of the marker and take a moment or two to think about the life the husband and wife had once shared together. You wonder about the peculiar circumstances that may have resulted in their simultaneous departures from the world of the living. An automobile accident, perhaps. Maybe a tragic house fire. Disease. Suicide. Possibly even murder. Wildwood Cemetery in Williamsport is the idyllic final resting place of more than 30,000 people, each one with their own unique history. The histories of some of deceased are better known than others; Wildwood is the final resting place of five U.S. Congressman, including Elias Deemer and James Gamble. It is the final resting place of professional athletes like Bob Pellegrini, the football star who once graced the cover of Sports Illustrated in 1955, and Jimmy Sebring-- the baseball player who hit the first home run in World Series history back in 1903. Wildwood Cemetery is also home to a gravemarker like the one previously described, marking the burial site of a young man and his wife who both passed away on June 17, 1909. 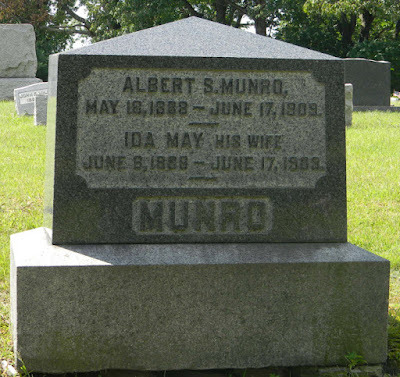 Albert and Ida May Munro never held political office, and no stadium crowds ever cheered their names. But their story rivals that of any created by a novelist or Hollywood screenwriter. 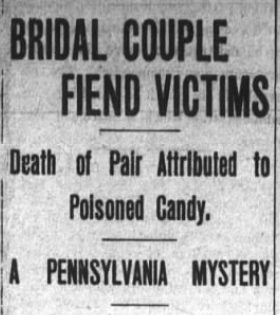 On June 18, 1909, a young clerk from Williamsport by the name of Albert Munro and his new bride were found dead inside their bedroom, and on the dresser was a partially eaten box of chocolates. There were no signs of violence, leading some to believe that the young man and his wife of a week were victims of a fiendish murder plot. But who killed them? And why? Some police detectives, however, initially dismissed the possibility that the Munros had been victims of foul play. Some claimed that the couple had killed themselves as part of a suicide pact. But why would a young couple married for only a week take their lives? 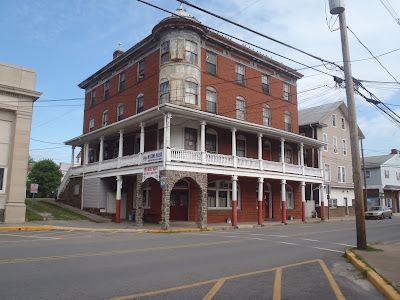 Albert S. Munro was just 22 years of age, and worked as a clerk in the office of his uncle, Inspector George W. Vernes, a detective for the Pennsylvania Railroad Police. He was originally from Blandsburg, Cambria County. The bride, 20-year-old Ida May Dalton, was born and raised in York. 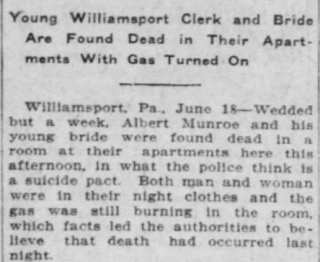 On June 10, Albert Munro and Ida May Dalton were married at All Saints Episcopal Church and had only just returned from a honeymoon in Philadelphia when their bodies were discovered. The Munros shared a bedroom in the home of Inspector Vernes and his wife at 629 Maple Place. The victims were both in their night clothes; the wife was sprawled across the floor, the husband kneeling next to the bed, one of his feet lying across hers, his head buried in his hands. 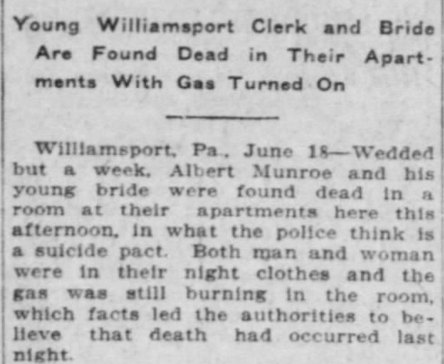 The gas had been turned on, and this led authorities to believe that the newlyweds might have taken their own lives, and had died the night before-- exactly one week after they had been married. But whose final decision before committing suicide would be to consume a box of chocolates? Casting further doubt on the suicide pact theory is the fact that witnesses describe Munroe as being "in the best of spirits" when last seen. Inspector Vernes had his own theory. He believed that Ida May had died suddenly from heart failure. Her husband, shocked by the event, then suffered a fatal heart attack of his own. It was a spectacular theory and, if true, it would be one of the most remarkable and tragic coincidences to take place outside of a Shakespearean tragedy. The likelihood of such an event occurring in real life was so far-fetched that few gave it any credence. Mr. and Mrs. Verne had been away on a fishing trip near Cogan Station and the young newlyweds were home alone. When Munro failed to report to work the following morning, Vernes grew concerned. At 2 o'clock that afternoon Officer Dietrick was dispatched to the Vernes home to check on Munro. When nobody answered the door, the officer obtained a ladder and entered the house through an upstairs window, where he found the lifeless bodies. Dietrick summoned a physician, as well as Coroner Hardt and Captain of Detectives Powers. For some reason Inspector Vernes wasn't summoned. Powers placed a Pennsylvania Railroad Policeman named Pursley in charge of the scene, giving him explicit instructions not to let anyone enter the house. Wild rumors began to spread throughout Williamsport. 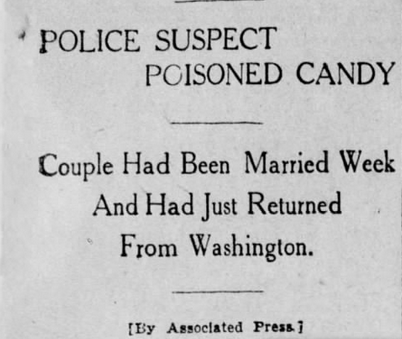 Local gossip had it that the box of poisoned candy had been given to Albert Munro by a mysterious female. Perhaps a former lover? And, if this happened to be the case, who was the intended victim? Albert? Ida May? Or both? Opinions were divided over the cause of death. Some investigators maintained that it was a suicide while Vernes and Dietrick clung to the double heart attack theory. Interestingly, Officer Dietrick was one of the last people to see Albert Munro alive. Officer Dietrick said he had been with Munro at 7:30 on Thursday night, and that Munro had been in high spirits. He left Dietrick's home, telling Dietrick that he was going home to take a warm bath and go to bed. The condition of the bathroom indicated that at least one of the Munros had done exactly that-- the water had not been drained from the bathtub. Ida May's clothing was found on the floor. According to the police report, a neighbor had rang the Vernes' doorbell shortly before 9 o'clock on Thursday evening, wishing to use the inspector's telephone, but nobody answered. This would suggest that the Munros had died sometime between 7:30 and 9:00. The condition of the bedroom suggested that the couple had expected to go to bed in their customary manner. Both Albert and Ida May had placed their watches under their pillows for safe-keeping. The fact that Ida May had left her clothes on the bathroom floor seems to indicate that she may have sensed something was wrong before she entered the bedroom. 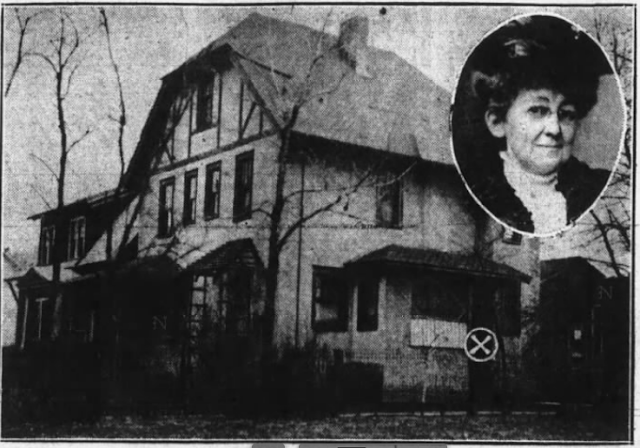 The police report indicated that the only physical injury on either of the deceased was a bruise on the chin of Ida May, and it was believed that this was the result of her hitting her head on the floor after she fell. Albert was found dead with his face in his hands, lending credence to the theory that he had died as a result of overwhelming grief. According to Inspector Vernes, Ida May Munro had suffered from a sore throat a day or so before her sudden death, and had been using a medicine made of chlorate of potash. A bottle of whiskey was found in the bedroom, and Vernes said that friends had told Ida May to gargle with the whiskey in order to soothe her throat. Vernes ordered that both the chlorate of potash and the bottle of whiskey be analyzed. It was later revealed that the box of candy had been presented to Albert Munro as a gift by an insurance salesman who had met with Munro on Tuesday evening. The insurance salesman had given Munro cigars as a wedding present, and had given him the box of chocolates to take home to his wife. The candy was eaten by the Munros and well as Mr. and Mrs. Vernes, who suffered no ill effects. It was also revealed that three years earlier Ida May had suffered a fainting spell while in the bathroom. 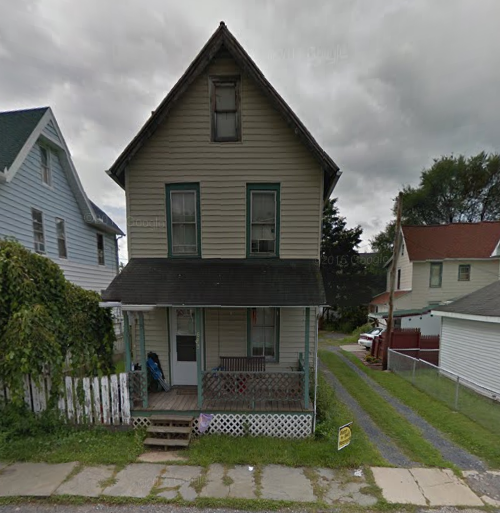 On three o'clock on the afternoon of June 21, a double funeral was held in Williamsport for Albert and Ida May Munro at the tiny, simple home of the bride's mother at 1683 Taylor Place. Reverend Robert Bell, the same minister who married the couple eleven days earlier, officiated the funeral service, and the young bride's pallbearers were the groomsman and ushers at the wedding. An enormous, gorgeous wreath of flowers was provided by the employees of the Pennsylvania Railroad. Ironically, and sadly, the money that the railroad men used to purchase the flowers had been originally set aside to buy a wedding present for the young couple. That same day the chemist who analyzed the box of chocolates announced his findings. No traces of poison were found. Sometimes truth is stranger than fiction. Sometimes the most logical explanation is the correct one. In the sad case of Albert and Ida May Munro, the truth turned out to be the most unlikely of all possible scenarios. It was the Shakespearean scenario suggested by the deceased man's uncle, Inspector Vernes-- after watching his young bride die suddenly, Albert Munro himself died from a broken heart moments later. The coroner's report proved that Vernes had been right all along-- for the most part. Ida May's cause of death was determined by Dr. Ferd Weddigan and Coroner Hardt not to be the result of heart failure, but as the result of diphtheritic paralysis of the throat.